Francis Michael is based in South Sudan and covers political, cultural and environmental affairs. 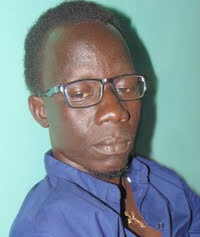 In addition to South Sudanese newspapers and radio stations and to forsouthsudan.com, he contributes to theniles.com and andariya. He also works as a researcher at the Diversity Center for Strategic Studies and is a member of the Upper Nile University’s Environmental Society. The lacking of environmental media coverage in Africa seems to be part of culture,and it has put a very great negative impacts at all.we the South Sudan as part of the continent,this culture affected our roles as media to pay attention on these serious issues,as results of donors undermine to titles the environmental damage which is happening in South Sudan currently in their priorities plans,policy apart of thier political interests . However the destruction continue to damage the environment especially in the oil production areas in Upper Nile ,so any poor planning to control it will affect the future of the Area to be a safe place for residents. What should be taken to avoid these damage. ?the only way foreword is to intensify reports to discover the mass of damage and conduct researches that can guide to take a right action,to limit the destruction. Bathumi Ayul.South Sudanese journalist and researcher,Diversity center for strategic studies.